The world's best is more than a footballer. One of the most passionate players to step on the pitch, Cristiano brings that same focus to the gym and his style. With a variety of his own products, his supremacy extends far beyond the pitch. 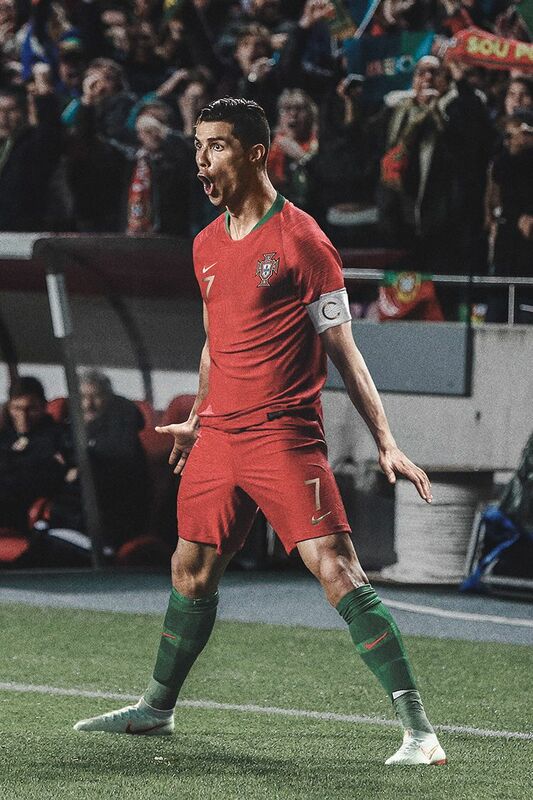 Receiving his first Mercurial at 16, over 600 goals and 30+ signature editions later, Cristiano has become synonymous with the boot. 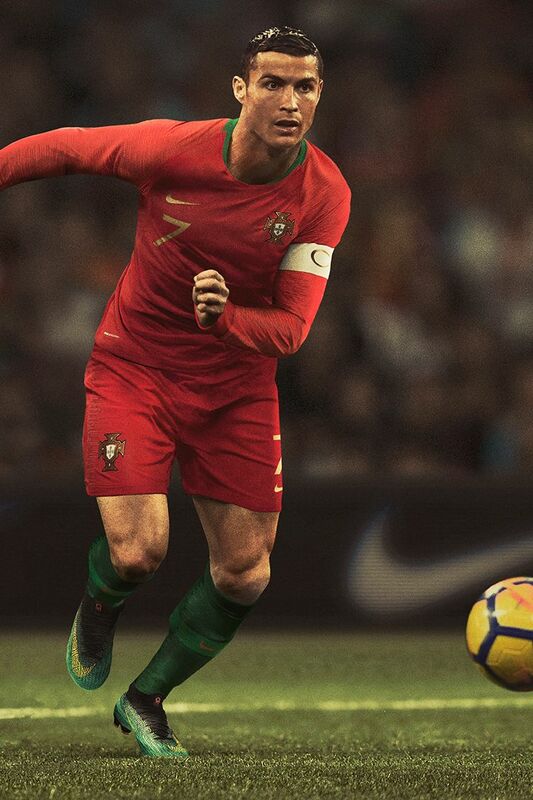 He even reshaped the Mercurial identity, debuting the Superfly collar and helping Nike's design team perfect it to balance support and range of motion. Preference for freedom extends to his shorts, rolled up to give his legs maximum movement (and visibility). Behind every milestone and moment, there are countless hours in the gym. Even after training sessions with his club, Cristiano continues his intensive regimen at his state-of-the-art home gym. Known as one of the most training-obsessed athletes in the world, he credits the work he does off-pitch to his continued dominance into his 30s. Focusing on callisthenics, mobility and flexibility training, lightweight fabrics that stretch and breathe are key for comfort and to avoid overheating. When it comes to his shoes, stability is essential. Wide based, low-to-ground models like the Flyknit Trainer give him the balance he needs to push each workout to the limit. 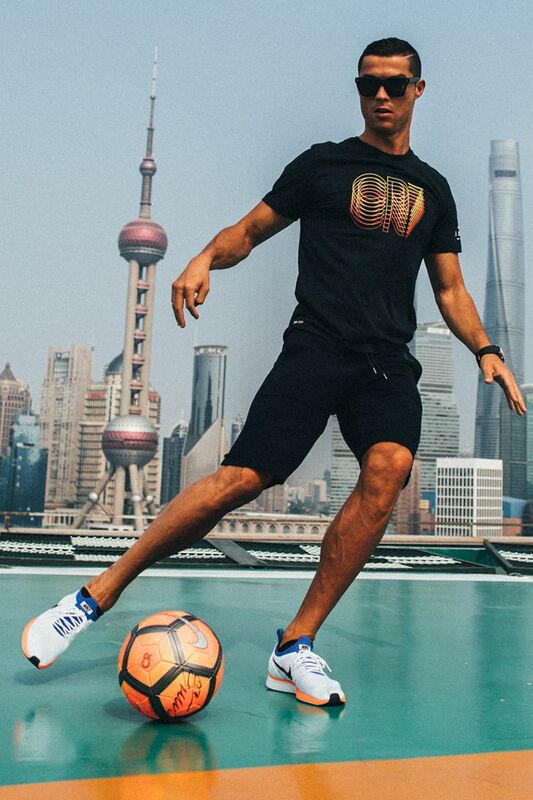 With nearly as many sneakers as goals, Cristiano's collection is far from modest. His 33rd birthday gift, a 24k-gold Swoosh Air Force 1, once prevented CR7 from getting through airport security. While he doesn't shy away from luxurious details, everyday comfort and breathability are key, making the low-top Cortez, Commuter and VaporMax go-to choices. But, his all-time favourite is still the Air Max 98, because its racing look matches his love for speed. Not one to be outshined by his style, when you're Cristiano, looking good is easy. His off-pitch looks centre on all-day comfort, making soft cottons, Tech Fleece and close-fitting shirts his favourites. When he's not travelling for road games or awards, head-to-toe breathability is crucial in the warm climate of the Iberian Peninsula. Shop all Cristiano's favourites, from training apparel to his signature boots, all in one place, in Cristiano's Shop.